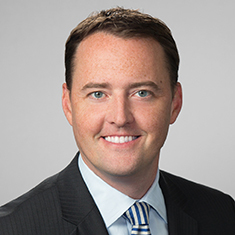 Brandon McCarthy, a former federal prosecutor, is a partner in Katten's national White Collar, Investigations and Compliance group. Brandon's practice focuses on conducting and defending investigations into companies, executives and physicians for health care fraud, conspiracy, the Anti-Kickback Statute, the False Claims Act, the Foreign Corrupt Practices Act, Stark violations, securities fraud, investment fraud, bank fraud, embezzlement, qui tam events, cybercrime/large-scale corporate identity theft, tax fraud/copyright/trademark infringement, US Food and Drug Administration fraud/mislabeling, financial crimes and public corruption. A key part of Brandon's practice involves conducting internal investigations/compliance reviews for companies, implementing compliance, and making thorough presentations to government agencies. These essential steps often insulate companies and executives from liability and avoid unnecessary or mistaken indictments. After 18 years of practice, 13 years of which he served as a federal prosecutor with the US Attorney's Office in Dallas and as a chief prosecutor with the District Attorney's Office, Brandon has extensive experience in federal and state court. While he primarily focuses on defending against government investigations, Brandon has handled nearly every existing type of criminal case with virtually every government agency, including the US Department of Justice, the Federal Bureau of Investigation, the Office of Inspector General, the Internal Revenue Service, the US Department of Defense, the US Securities and Exchange Commission, the US Secret Service, the US Department of Labor, the US Drug Enforcement Administration and the Financial Industry Regulatory Authority. Brandon has tried more than 120 jury trials, as well as 42 bench trials, and has prevailed in more than 97 percent of them. He has handled more than 3,000 cases in his career— a large number of which were high-profile cases in Dallas and elsewhere. He also co-chairs The University of Texas Government Enforcement Institute, co-founded National Hoopfest benefiting St. Jude Children's Research Hospital, and is a frequent speaker and author on government investigations. Shown below is a selection of Brandon’s engagements. Counsel in multiple health care fraud qui tam cases; successfully obtained permanent dismissals in four of them in 2018. Lead defense counsel for multiple compounding pharmacies in alleged health care fraud throughout the United States. Successful defense of a client against allegations of fraud/theft, obtaining a “no bill” from the grand jury. All charges were dismissed. Internal investigation of alleged health care fraud and subsequent DOJ presentation, successfully avoiding indictment despite a multi-year OIG/FBI criminal investigation. Internal investigation of alleged securities fraud and subsequent presentation to the US Attorney’s Office; DOJ did not pursue fraud charges despite a two-year USSS criminal investigation. Representation of three doctors accused of health care fraud; successfully obtained qualified immunity for all clients after internal investigation revealed fatal defects in the government’s case. Representation of medical practice group (30+ doctors) in alleged health care fraud; successfully avoided indictment with only resultant fine after 3+-year FBI criminal investigation. Internal investigation on behalf of eight doctors accused of health care fraud and threatened with indictment by the US Attorney’s Office; after a series of presentations to DOJ, no doctors were indicted and only a fine was assessed. Representation of two hospitals in responding to CID; demand was resolved without penalty, and no criminal or civil charges were pursued. Successful representation of clients in 2016 jury trial; obtained 46 directed verdicts on multiple fraud charges against four defendants and several entities. Representation in criminal Fourth Amendment case; prevailed on pre-trial motion to suppress against the DOJ, successfully throwing out all evidence and obtaining dismissal of federal charges before trial. Company counsel in obtaining protection and witness designations for multiple executives in an FBI fraud investigation; no clients were indicted. Internal investigation on behalf of physician client that proved incrimination by others; client avoided indictment despite FBI criminal investigation. Representation of client in $4 million wire fraud case; successfully obtained reduction in federal sentence from approximately nine years’ incarceration to one year probation. Representation of client in $3 million bank fraud case; successfully obtained reduction in federal sentence from approximately 8 years’ incarceration to three years’ probation. Defense of Dallas-area dental service group in criminal investigation of alleged Medicaid fraud; all dentists were cleared. Defense of Irving, Texas-area medical management company against alleged mail fraud via submission of false insurance claims; negotiated fine in lieu of criminal charges. Successful defense of big-box retailer in one of the largest employee class actions in US history; district court reversal based on class certification problems raised.